Georgetown University issued the following announcement on Oct. 9. Ten years after the worst financial collapse since the Great Depression, our collective memory of the damage caused by the crisis has faded. Gone are the daily stories of the searing political, economic and emotional losses Americans sustained in 2008 and beyond. More than 23 trillion dollars of wealth disappeared during the crisis years. By 2010, 42 million citizens had fallen into poverty, the largest number since the Census Bureau first published these estimates in 1959. The San Francisco Federal Reserve found that the crisis imposed lifetime economic losses of $70,000 upon every American, losses that are likely to be permanent. 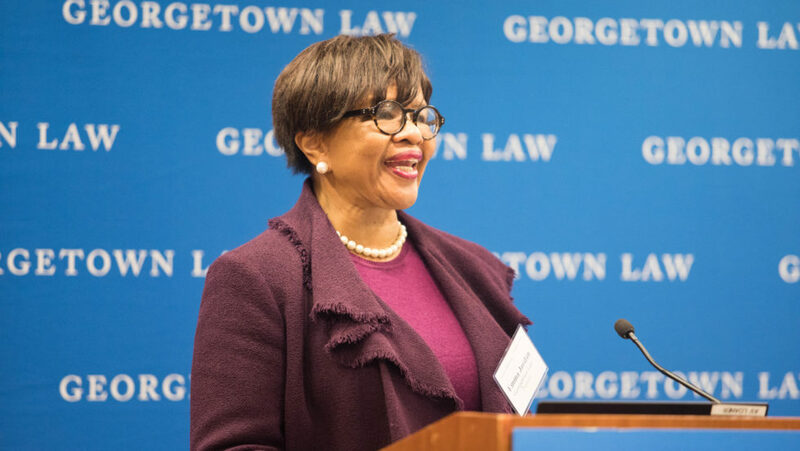 “Ten Years After the Financial Crisis: Closing Loopholes and Avoiding Blindspots,” sponsored by Georgetown Law and the Institute for New Economic Thinking on September 28, explored lessons learned, lessons we’ve forgotten and the path forward. 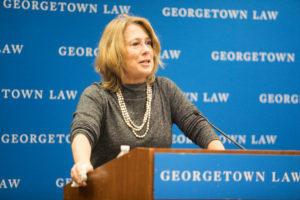 The Financial Crisis Inquiry Commission Report found that “this crisis was completely avoidable,” said Professor Emma Coleman Jordan, who organized the conference. The central reason for organizing this conversation among experts and creative thinkers about the lasting economic, social and political dislocation, she said, is to explore whether we are headed for another financial crisis, despite the changes to bank regulation. The conference was prompted by new warning signs that financial deregulation, risky lending standards and unregulated derivatives have returned. Anupam Chander, James Feinerman, Anne Fleming, and Anna Gelpern. 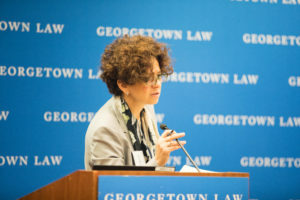 Fleming discussed her recent book City of Debtors; Georgetown University Professor George Akerlof, winner of the Nobel Prize in economics and the author of Phishing for Phools, delivered closing remarks. Want to get notified whenever we write about Georgetown University ? Sign-up Next time we write about Georgetown University, we'll email you a link to the story. You may edit your settings or unsubscribe at any time.